So you have been enjoying your timeshare unit for years and would now like to do something different this vacation, but what should you do about your timeshare? Renting is always an option for you as owner. If you do not wish to use the unit one year you can always find renters to take on your week. The best way to find people to rent your unit is amongst friends and family or through colleagues at work. You can also advertise not the Internet or through your local press. The great thing about renting your timeshare property if you are not going to use it is that the renters cover your obligatory maintenance fees. The other attractive option for owners who wish to rent their unit is to join a vacation club such as Interval International, Universal Vacation Club International or RCI. 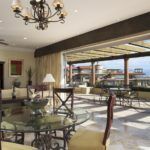 These vacation clubs allow you to swap your timeshare for points which you can then store up for the following year when you could use them for a more luxurious property or take a longer vacation at a different destination. Once you have joined a reputable vacation club like Interval International, you can also rent your points, should you not wish to use them for yourself. Just find an interested party and you book the vacation that they desire with the vacation club using the points you have accrued. Your clients then pay you for the points. If you are looking for a vacation rental, then renting a timeshare is just for you. Hotel rooms are often much smaller and more expensive than renting a timeshare unit and you also have to pay extra taxes that are not applicable to rentals. There are many benefits to staying in a timeshare unit, such as large spacious living areas, kitchen and laundry facilities; you stay in a unit that you could live in. In contrast to other private vacation rentals, timeshare rentals also boast all the services of a resort – you get the home from home but with hotel facilities such as large pools, gyms and spa, restaurants and room service. When you rent a timeshare you gain the best of both worlds. 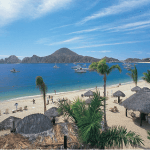 Share the post "Timeshare Rentals Review"
Renting a timeshare is an option that you might consider if you don’t want to use your timeshare weeks anymore. Owning a timeshare can be a headache! With all the fees you have the responsibility to pay and the constant phone calls coming from the resort, it becomes almost necessary to think on a solution, especially if your debts are getting deeper.